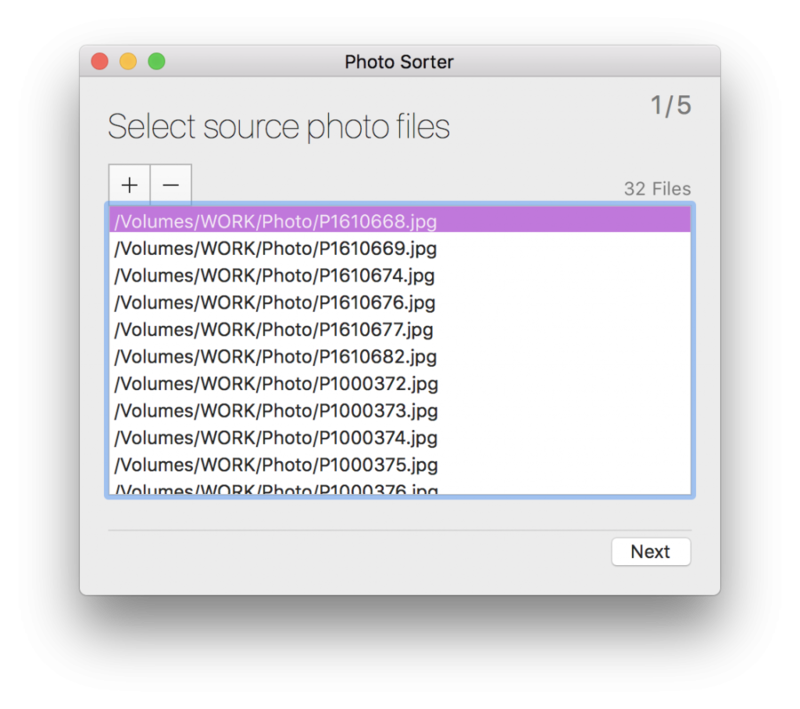 Utility application to sort photo files into folders sorted by photo’s date.Utility application to sort photo files into folders sorted by photo’s date. Click [+] button and select photo files or folder contains photo files. Or drop photo files or folders onto the list. 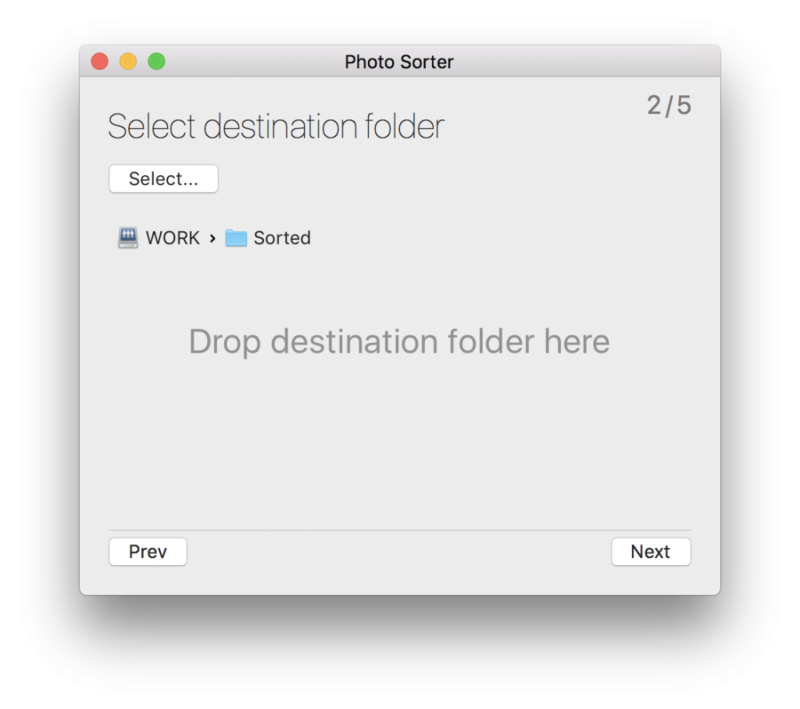 Click [Select…] button and select the destination folder. Or drop the folder onto the area. Setup the sort setting by Year/Month/Day/Hour/Minute. 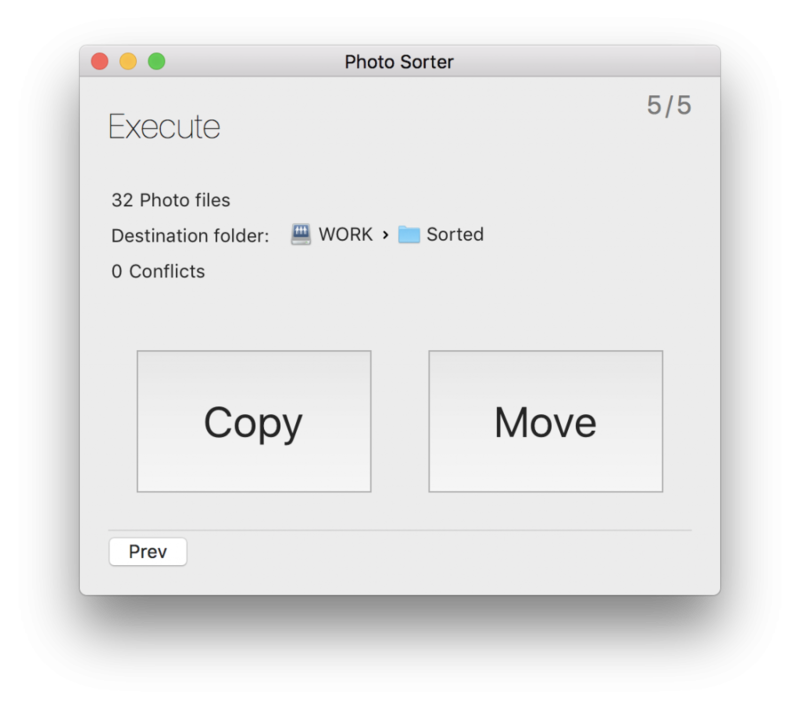 And select the folder hierarchy. These folders are created and store the photo files in it. 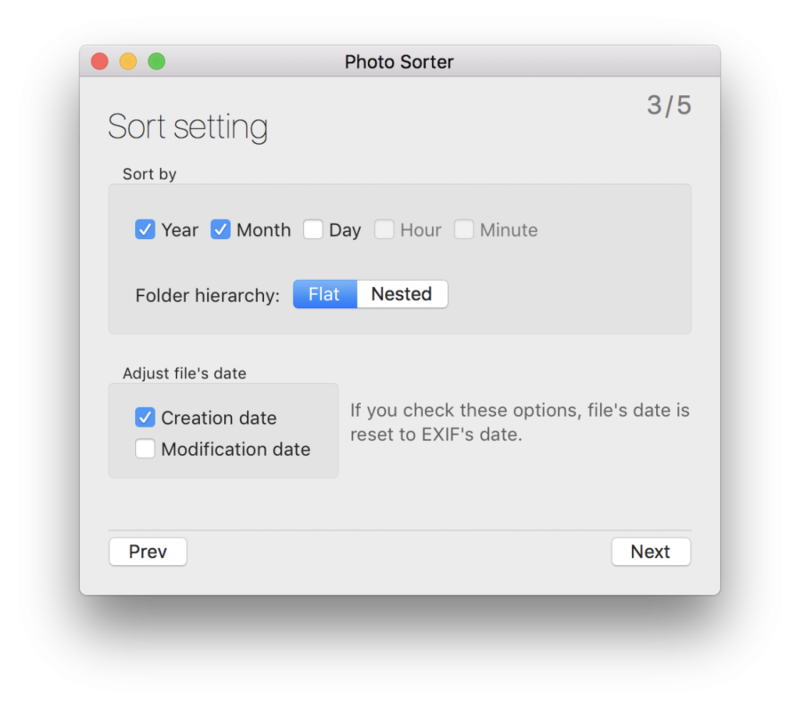 Optionally, you can adjust photo file’s creation/modification date as photo’s EXIF date. 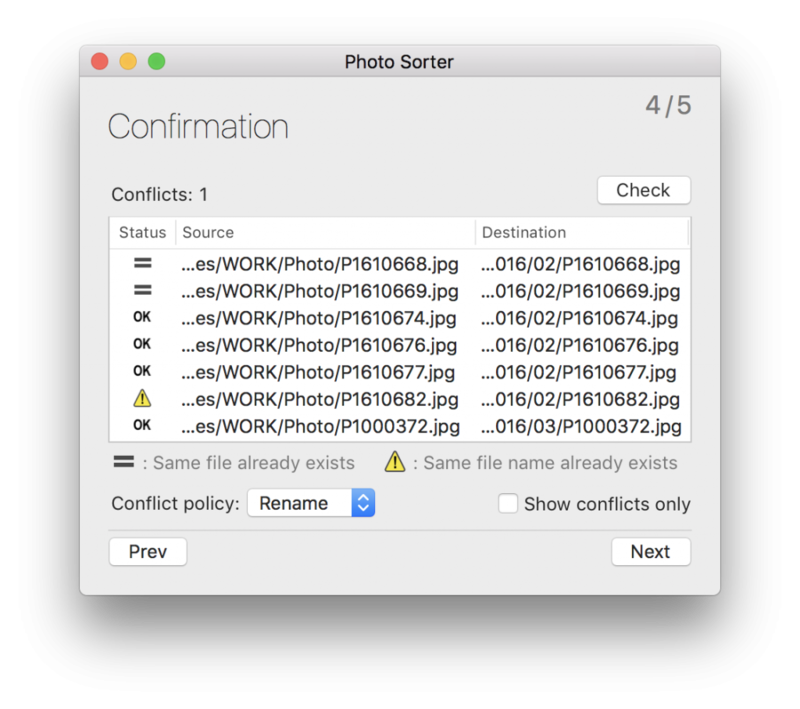 Rename — Add sequential number like (1) to the file name. Overwrite — Delete destination file and overwrite source file. Copy — Source file remains. 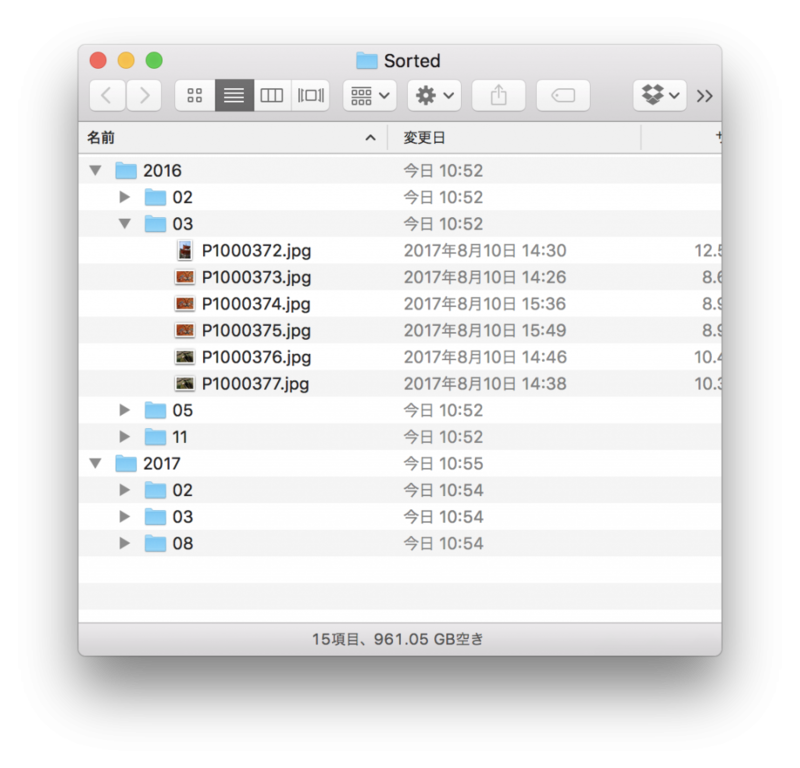 Move — Souce file not remain when moved to other folder. The file which don’t include EXIF is not modified. 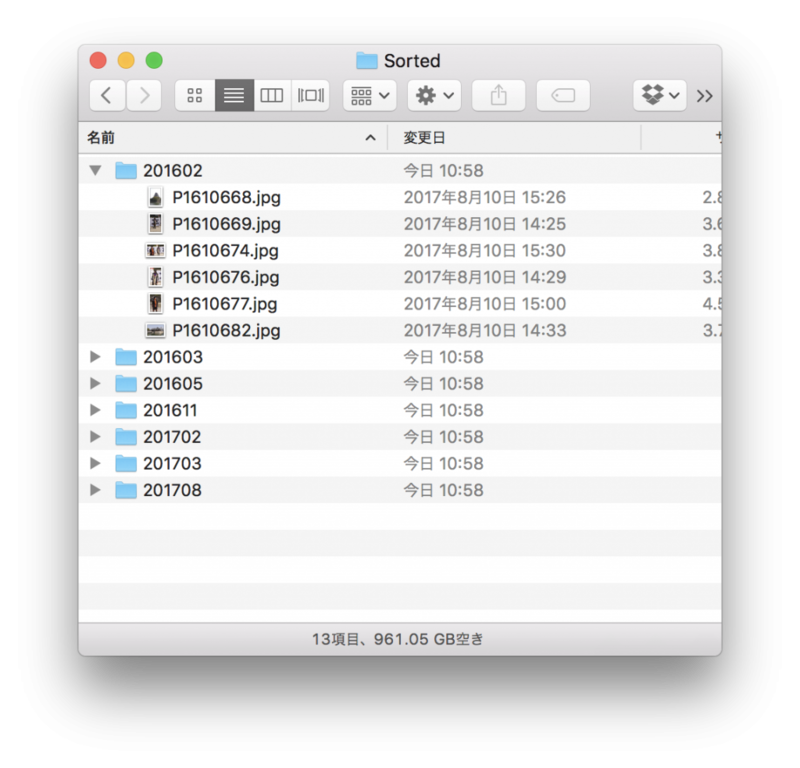 You can select folder which include non-photo files. They will be ignored.